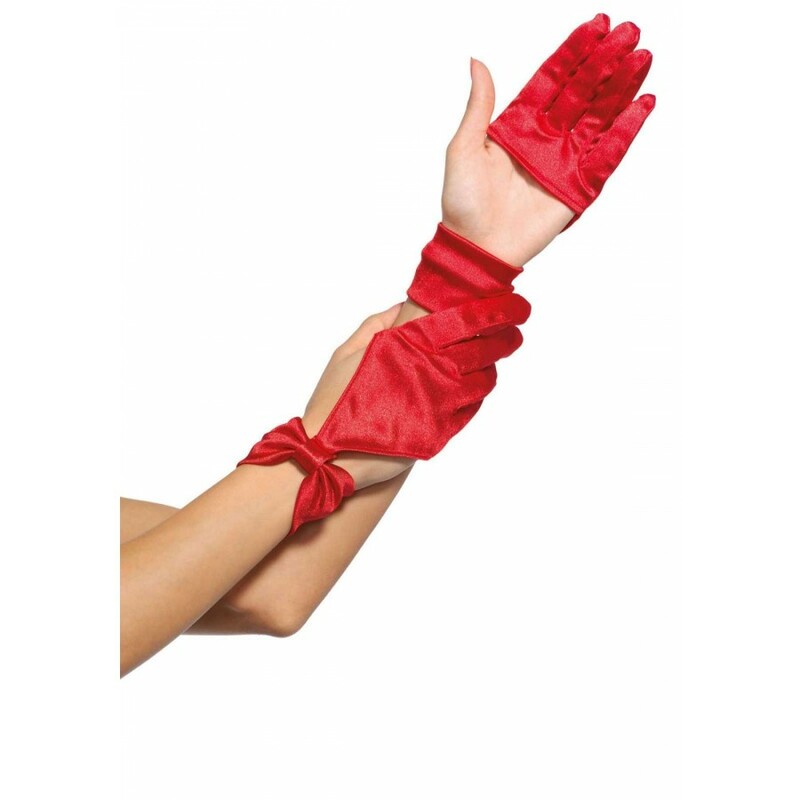 In red or black satin, these unique gloves top off any outfit. 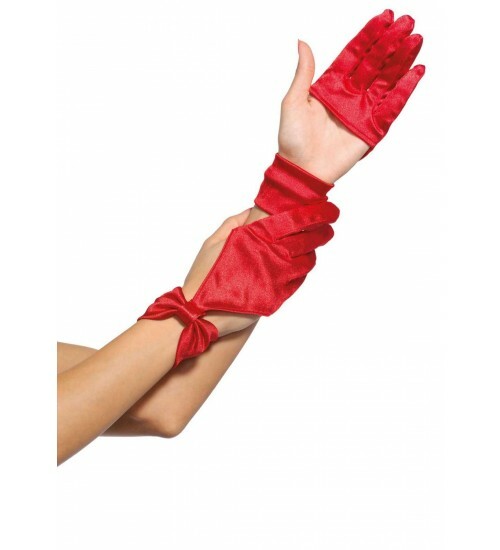 Wrist length satin gloves leave the thumb free while covering the other 4 fingers. They elegantly taper down the back to a bow accented wrist strap. Choose bright red or classic black satin. Item Number: LA-L3737 | Approximate Size (Inches): 4.00 wide x 1.00 deep x 6.00 high | Approximate Shipping Weight: 0.50 lbs.